DianaGabaldon.com | SCOTTISH PRISONER: Jamie or John? Well, alrighty, then! Do you want to know whether THE SCOTTISH PRISONER starts with Jamie or John? Random House has posted the beginning of the book as an excerpt on Scribd. Click the link below to see which way the editors (and I) decided to begin the book–and I hope you enjoy it! 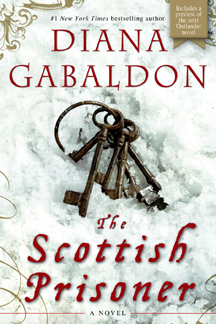 Click here to read “Jamie or John?” excerpt on scribd. From Diana’s Blog, November 4, 2011, 5:10 a.m.